Photo courtesy of Ann Siske. Photo courtesy of Pat Bzdek. 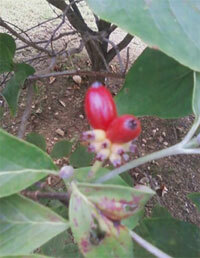 Red Pygmy® fruit in Fall. 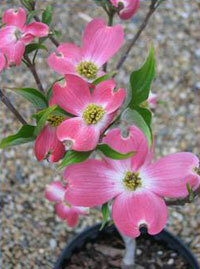 The variety Red Pygmy® is a rare dwarf red flowering dogwood that is ideal for use in a small garden space. Red Pygmy® may be used in Japanese-style gardens, as a specimen plant, or used in grouping with other dwarfs of comparable size and shape. Bract color variations shown for plants from TN & NJ, during different years and growing conditions. 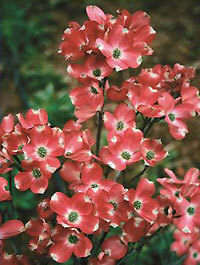 Red Pygmy® - Photo courtesy of Ann Siske (TN). Red Pygmy® - Photo courtesy of Pat Bzdek (NJ). 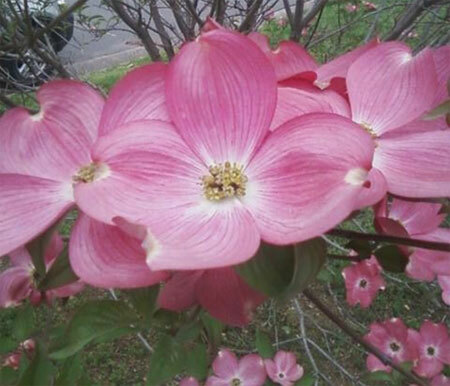 Like many flowering plant parts, dogwood floral bracts may show variations in bract shape, color, and other features such as edge and tip coloration during their growth. Young leaves may be more pointy or narrower than mature bracts, for example. Additionally, external factors such as sun, shade, soil (acidity) and weather may affect the bract features. Strong sun and high temperatures may 'bleach' colored tracts of many varieties, some more than others. 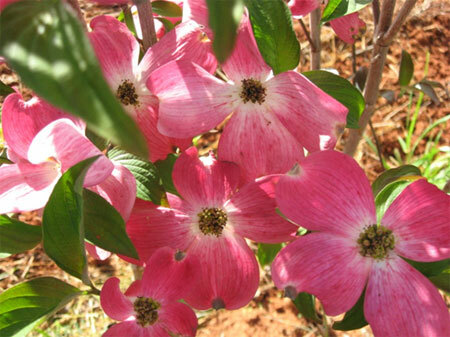 In some instances, white bracts turn pinkish before dying, or if the weather turns cold. Some pink bracts may appear white in some seasons. Additionally, the famous Fall leaf colorations may vary greatly in different environments and in different years.